This unusual surname is one of the Scottish variants of the more familiar name Joyce, which is of English/Irish origin and derives from the medieval French name Josse/Iosse, from the earlier Joceus/Ioceus or Jodocus, Latinized forms of the Breton (Celtic) personal name "Iodac", a diminutive of "Iudh", meaning lord. Ioduc (Josse) was the name of a 7th century Breton prince, son of King Juthaêl of Brittany, who abdicated to Sidraga (Schaderias) in northern France, seeking the protection of Haymon, Count of Ponthieu, so he could live as a hermit and renounce the crown of Brittany. The Abbey of Saint-Josse, beginning as a small monastery on the site of his retreat in the coastal forest near the Canche River, was built in the 8th century at the modern Saint-Josse-sur-Mer in the Nord-Pas-de-Calais region. Saint Josse, though never formally canonized, developed a local cultus. The veneration of Saint Josse subsequently spread through the Low Countries, Germany and Scandinavia, regions where variations of Josse, Joos, Joost and the diminutive Jocelyn became popular names. In 903, some monks of the abbey fled the invasion of Vikings (Norsemen) from Scandinavia and took refuge in England, bearing the relics of Saint Josse to Winchester. 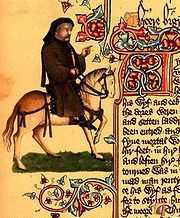 In 14th century England, Chaucer's Wife of Bath character swears "by God and Seint Joce". 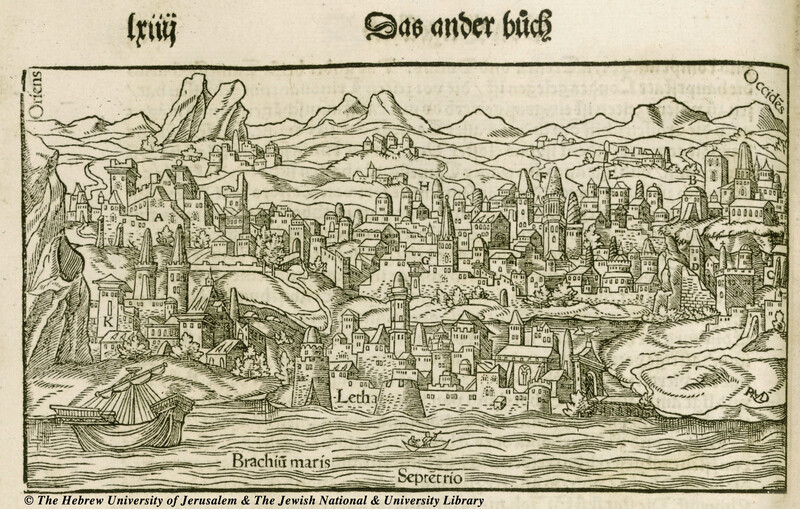 As a personal name, Josse/Josselin was borne almost exclusively by men during the Middle Ages, and is recorded as Joasce and Iocius in the "Social and Economic History of the Danelaw" of 1150. The name was first introduced into England in the early 10th century by French refugees escaping from Viking raiders, and again during the 12th century by followers of Duke William of Normandy (William the Conqueror) following the Battle of Hastings of 1066, in the form of "de Josse". Although the 1086 Domesday Book is silent in regard to the name, both "Josce" and "Iocius" are recorded in the 1150 rolls of the city of Lincoln. One of the first recorded spellings of the ancestral Norman French name in England is that of Nicholas Jose, dated 1273, in the "Hundred Rolls of London" compiled during the reign of King Edward 1, known as "The Hammer of the Scots". Alexander Joce was the sheriff of London in 1273, as recorded in the "Chronicles of the Mayors and Sheriffs of London". The classical surname is also found in Glamorganshire (Welsh: Sir Forgannwg), a region of South Wales, part of the ancient Welsh kingdom of Glywysing. The "de Josse" form of the name is most likely of French locational origin, a nom de famille meaning from the village of St-Josse-sur-Mer in Normandy. This would account for variants such as Geoffrey de Jorz (1216-1272), known as "The Frenchman", Thomas de Jorse, a Welshman who married the daughter of O'Brien the Prince of Thomond in 1283, and Sir John (Iohannes) de Joce, recorded at the 1308 Dunstable Tournament. The most ancient "Josse/Jowsey" progenitor families were located in the City of Edinburgh, Canongate and Dunfermline, Fife. 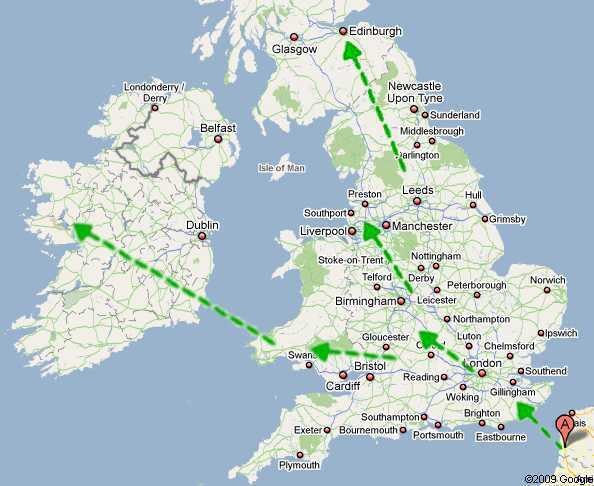 Many Normans migrated into Scotland during the early Middle Ages, especially during the reign of King David the First (1124-1153), including "de Josse" families (from the St-Josse-sur-Mer area) who settled in Edinburgh and the Midlothian area. The prototypical Scottish-Franco patriarch for the Jowsey clan would be Rodbert de Josse arriving in Edinburgh sometime around the 12th century, with a son named Jehan (spelled "Iohn" or "Johanis"). The Joss and Joass families of Aberdeen are probably descended from the same progenitor as the Jossey/Jowsey families of Edinburgh. At least one mercantile Jowsey family of Scotland acquired considerable wealth and status during the 14th and 15th centuries, eventually becoming prominent gentry of Edinburgh and joining the minor nobility. Thomas Jowsy/Jossy was invested as a freeman, burgess of Glasgow in 1433. Robert Jossy, born in the mid-1400's, is recorded as one of 14 "Assysa Capitalis Curiae" (judge/jurists) of the Edinburgh Court of Assizes convened in April of 1500 to determine "the pryce of malt and the boll of quheitt" (barley and wheat), and the price of claret by the pint. A description of the official seal of Robert Jossie, Freeman and Burgess of Edinburgh, can be found in city records from 1512. 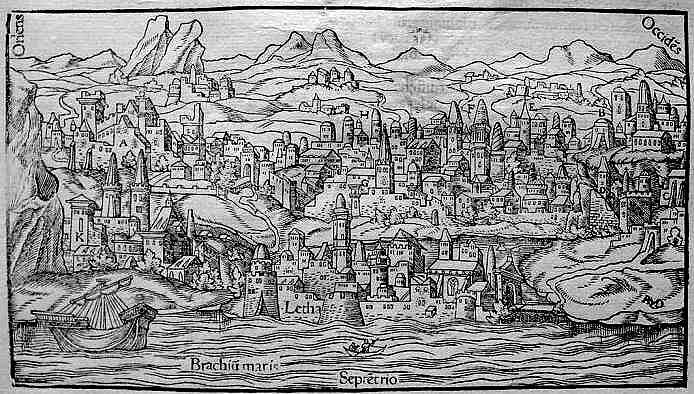 Andrew Jowsy was the Midlothian financier backing large shipments of wine imported into the port at Leith during 1579. 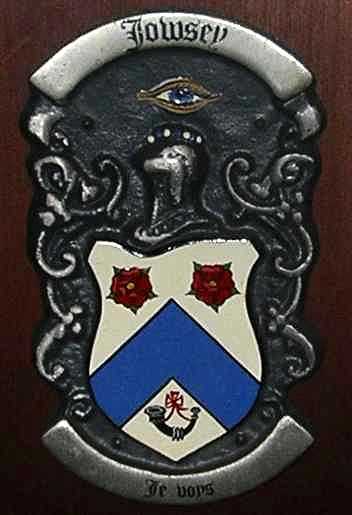 The Scottish Jossey/Jowsey clan's original Coat of Arms, possibly granted by King James V or Mary, Queen of Scots to Robert Jowsey (born about 1525), is described as JOUSEY, JOWSIE or JOSSEY [Scotland] argent, a chevron azure between two roses in chief, gules, and a hunting horn in base, sable, garnished gules -- Crest, an eye proper. Motto "Je voy" [I see]. The white background represents "sincerity"; a blue chevron indicates "strength and loyalty" and "protection, of faithful service". Roses generically symbolize "hope, joy, abundance"; red roses mean "grace and beauty". The hunting horn represents "a person of high or noble pursuits" or someone who thrills to "the chase, high pursuits"; its colors signify "constancy" and "military strength". An eye symbolizes spiritual vision, divine watchfulness, or "providence in government". Robert Jowsey (Jowsie, Jowsye, Jowcye, Jousey, Jossie, Jossey), born around 1550, a wealthy Scottish gentleman and "merchand burges of Edinburght", was a close companion of the young James VI Stuart, King of Scots. A decade older than the king, he emerged as a trusted advisor and financier for James during this dangerous period of political intrigue, civil turmoil and sudden violence (1575-1600). James's father Henry Stuart, Lord Darnley, had been assassinated in 1567 by a mysterious gunpowder explosion. Later that same year, Protestant rebels arrested his mother Mary, Queen of Scots, imprisoning her in Loch Leven Castle; she never saw her son again. The future King of Great Britain felt himself to be surrounded by ruthless enemies, and always wore heavily padded clothing to lessen the risk of being unexpectedly stabbed. Faithful loyalty to the crown was valued, and rewarded accordingly. A letter written by James VI, dated 6th July 1589, was personally delivered by Robert Jowsey to Lord Burghley, the "Great Thesaurer of England", in London. In it, the king commands that the "Scotish merchants" Robert Jowsie and Thomas Fowles (goldsmith/banker) venture to London for the "bying and provision of certaine habillements and uther ornaments requisit for decoration of our mariage" to Anne of Denmark later that same year. 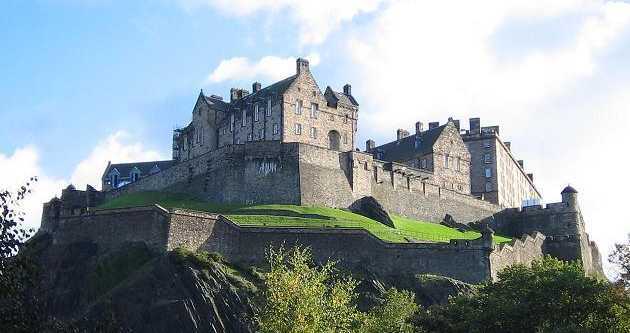 In a dispatch to King James, dated 1593, Robert Bowes (Ambassador for Queen Elizabeth in Scotland) declared that "Edinburgh was yesterday suddenly in arms and troubled with an uproar stirred by sundry courtiers. James Gray, the King's servant, had before carried away forcibly the sole daughter of the Laird of Carnegie, still living; and having married her against her will, as she says, was by order driven to deliver her to the custody of Robert Jowcye (now on his journey towards London)." By 1594, lack of funds had manifestly weakened the king's executive machinery, by undermining his "power to command". 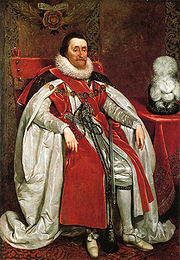 In the crisis of the raid against rebel Earls in November 1594, Aston recorded that the king "has done what he can. His jewels are in mortgage. His people are sore taxed, so that he can crave no more. He is now borrowing from the men of Leith to serve the present necessity". It was largely the Kirk and the burghs that raised the money to pay the hired soldiers of the campaign. Robert Jowsey is mentioned again in the "State Papers Relating to Scotland and Mary, Queen of Scots" archive dated 1595, being paid some "money for James VI", since he and Thomas Fowles had raised £180,000 (from wealthy Scots seeking royal favor supporting their king) to provide King James of Scotland with "jewels, clothing, ready money and other necessaries" in preparation for his coronation as King of Great Britain and France, "Jacobus Dei Gratia Maiestas Britannia Franconia Et Hibernia Rex". The Scottish debt brokered by Robert was so vast that some official generosity was eventually needed to defend the king's tattered financial reputation. Sir Robert Melville was relieved by the king of £20,000 owed to Robert Jousie for "furnessing" in 1596. Jowsey managed to secure a "tack" concession of customs duty in 1597, but this source of revenue was cancelled the following year. In 1598, Sir George Home of Wedderburn, the King's Comptroller, promised to "make sufficient assignation yearly of £25,000" to Foulis and Jossie in the Scottish Parliament. Walter Stewart, the Lord Treasurer, was ordained to set the royal mint-house "in tack and assedation" (a lease of profits) to Thomas Foulis and Robert Jossie, for £5,000 during the next 6 years. Despite his royal support, Robert Jowsie was briefly gaoled in 1599 when he fell victim to the king's English creditors while attending to business in London. 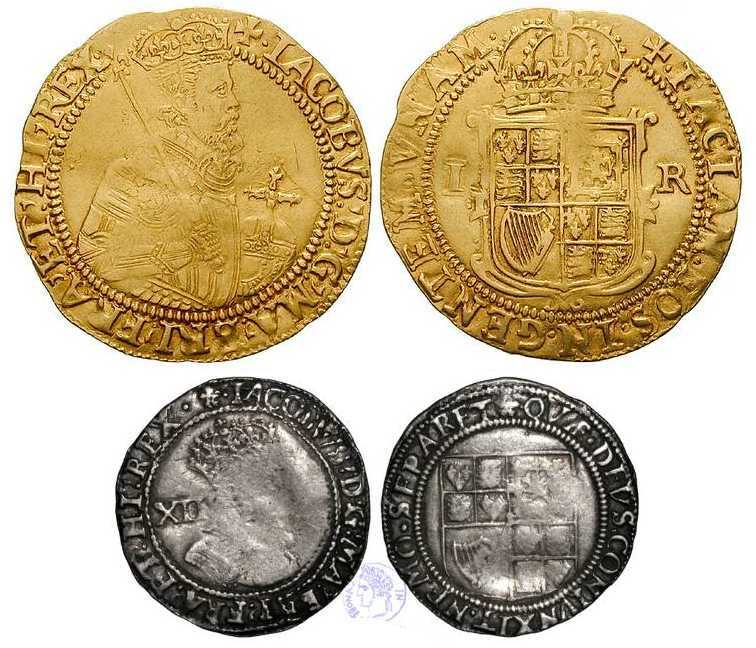 The "Domestic Annals of Scotland, Reign of James VI" records that by 1601, the king owed "nine score thousand punds money" to Robert Jowsie and Thomas Fowles, merchant-burgesses of Edinburgh, who were in consequence "subject to infinite complaints" from their many creditors. Robert Jowsey relocated to London in 1603, as a courtier in the retinue of King James VI, following the death of Queen Elizabeth I. After the king's coronation, he was appointed (invested) to the king's Privy Council, along with several other Scottish nobles, in spite of the disdain aroused in the English aristocracy by the influential (but outlandish) Scottish court favourites accompanying their new king. In a meeting convened at the Palace of Whitehall in 1604, Robert Jowsie was recorded to be one of the "Lords of Secret Councill" witnessing the delivery by George, Earl of Dunbar, of £5,000 in gold coin described as a "gift of yearly annuitie" provided to the king by the Estates of the Low Countries in Scotland. Signature of Robert Jossy, Esq. Although not as prominent as other Scottish financiers such as his friend "George Heriot", Robert is frequently mentioned in the royal archives as a trusted "money-man" for the King and Privy Council. In 1606, the Earl of Dunbar sent Robert Jowsie to deliver "eight sheets of gray paper full of English money kuit up in form of sugar loaves, containing five hundreth merks apeace". This gift was recompense for a delegation of senior Scottish clergymen, including Andrew Melville, for "charges and expensis in thair journay toward his Majestic" after being summoned to London by the king. By 1610, Robert Jossie is mentioned in court memoranda as the Deputy Keeper of the Privy Purse (assistant to the Earl of Dunbar), responsible for large sums of royal monies. Mr. Robert Jossey died at London in 1627. Another gentleman financier from the Jowsey family was active in business at the English Court of King James. The "MacKintosh Muniments 1442-1820" records that Sir Lachlan Macintosh borrowed 1,000 merks from Robert's brother John Jowsie, a "Scottish merchant of London", to cover expenses while attending the king's court in 1619. In 1633, King Charles the First was accompanied by Robert's son, Master of Arts (Mr) Robert Jousie, the Royal Valetti of Robes, on the occasion of Charles' coronation as King of Scots at St Giles in Edinburgh. The National Archives of Scotland records that Robert Jowsey was honored by the granting of a Royal Burgess "ticket" at the coronation banquet in Edinburgh. During the king's subsequent celebratory tour of his lowland domains, the royal ferry "Blessing of Burntisland", crammed with 200 cartloads of priceless gifts, treasures and royal finery, capsized in the Firth of Forth during a sudden squall. Over 30 of the king's servants and courtiers were drowned. This disaster so distressed King Charles that he returned immediately to the palace at Whitehall in disconsolate mood. The ancient and esteemed Scottish family of Jowsey sank into obscurity during the political crisis and tumultuous upheavals of the mid-17th century, and eventually disappeared completely. As prominent Royalists supporting King Charles I, cavalier Jowsey families in Edinburgh could have been targets for their political and religious enemies during the violent Scottish Civil War of 1644, or upon the occupation of Edinburgh by Cromwell's army in September 1650 after the legendary battle of Dunbar. The once-illustrious Jowsey clan's political influence waned considerably following the death of James I in 1625, then was extinguished completely on the capture and execution of King Charles I in 1649. As known Jacobite sympathizers, some Jowseys may have fled Edinburgh during the civil conflicts. John Joicie, a burgess of Edinburgh, is recorded as being newly appointed as burgess of the town of Dumbarton, north-west of Glasgow, in 1636. 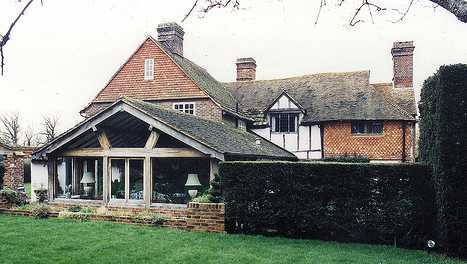 In 1609, Mr. Robert Jowsey (gentleman, Valet to King Charles) purchased the Manor of Baynards, near Cranleigh (south of London), from Isaac Woder of Plumstead. His son James mortgaged this property around 1625; the noble family was evidently in serious financial straits. Following a court hearing involving "Jossey (alias Hay)" versus Woder in 1630, James was forced to forfeit the sussex manors of Baynards, Coneyhurst Hill and Pollingfold to Richard Evelyn (father of the famous diarist). In 1631, the lessee of Mrs. Margaret Jossey's "jointure", the house she inherited on Robert's death, also surrendered his tenancy to Evelyn. In 1650, Sir Anthony Weldon, an avowed enemy of King James since being expelled from the royal court, published hostile memoirs in "The Court and Character of King James". This unflattering account describes a lazy, unhygienic and homosexual king devoted to his favorite courtiers (to the detriment of his kingdoms). The Jowsey gentlemen in London, devout churchmen, may have been scandalized by such allegations and the subsequent rumors smearing the reputation of their illustrious grandfather, Privy Councillor to "Queen James". Around 1625, James Jowsey's brother left London to live in North Leith, Scotland; his son Johne Jowsie (born 1638) became a noted surgeon and apothecary working in Edinburgh during the 1680's. Only a very few Jowsey families could be found still living in Edinburgh at the end of the 17th century. The ancient Scottish family's fortunes were thoroughly dissipated by the end of Cromwell's period of rule during "The Protectorate" (1649-1658). In 1665, John Jowsey (born circa 1607) petitioned King Charles II for the redress of an unpaid "arrears of Excise" debt of £2,000, owed since 1600 to his father Robert Jossey by the late King James. The petition was declined in Privy Council: "We cannot advise your Majesty to charge the said debt upon yourself." John's elder brother James Jossey, born about 1610, emigrated to Virginia around 1650, where he was granted 550 acres of land in Nansemond County by his lifelong friend Richard Bennett, governor of Virginia. 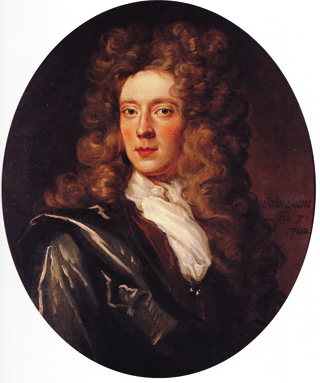 Descendants of Mr. James Jossey, gentleman of London, and his son Captain James Jossey (horse), born in 1638, are now found throughout the southern USA, mainly in Georgia and North Carolina. The contemporary surname is most frequently spelled as Josey, less often as Jossey, and pronounced "joe-see". It is highly likely that some members of the old Scottish Jowsey families migrated south into Northumberland, Durham and Yorkshire during the 15th and 16th centuries. Sometime shortly after the First Scottish Uprising of 1715, this lineage completely vanished from the historical records of Scotland, and the family mansion house at Westpans was apparently abandoned and became derelict. It is unknown whether they emigrated or were systematically eliminated, but the Jowsey family of Westpans was reportedly "extinct" by around 1735. These days, the Jowsey surname has almost totally disappeared in Scotland; no Jowsey families appeared in the 1891 Scottish census. The Jowsey surname and its iso-phonic variants appear during the 16th century in the North Yorkshire area, particularly around the Moors region encompassing Guisborough, Danby, Cleveland, Allerston and Whitby, and in Northumberland near Morpeth. These progenitor families appear to pronounce their surname in the Scottish manner (from the spelling variations recorded). They are consistently characterized by naming their boys as Robert, John, James, Thomas and William, and girls are frequently named Jane/Janet, Elizabeth and Mary/Maria. An almost identical naming tradition appears in the old Scots Jowsey line of Edinburgh. Scottish forenames are typically passed from generation to generation, the eldest son given his paternal grandfather's name, second son his maternal grandfather's name, third son the name of the father, and so on. In a 1521 report "for the repressing of maintainers of murder within the county of Northumberland" to Cardinal Wolsey, one Roger Jowscy (or Jowsy), man-at-arms to Sir William Lisle of Felton, is indicted for slaying Sir Richard Lighton, canon of Brinkburn, during a sword-fight over occupation of disputed "tithe corns [fields] of the town of Acton", at the farmstead of the Anglo-Saxon settler named Acca. An Elizabeth Jowcye is mentioned in a report to Henry VIII, dated November 1544, as paying rent "in tenure" for lands at Tolledbye (Dalby) in Cleveland, North Yorkshire. A yeoman named Robert Jossie (very likely a Scotsman! ), is recorded in 1547 as relinquishing the farm-let tenancy of "one messuage or cottage, and one small close of land, and the herbage of one wood called Scugdale" near Guisborough in Cleveland. In 1563, Margaret Joycye, a "wench at that time upon twenty years", was summoned to trial in the ecclesiastical court at Durham for "Breach of Promise to Marry", following her hand-fast betrothal at the age of 13 to William Richardson of Newcastle, Northumberland. John (Johanis) Jowyse, born in the mid-1500s, is recorded to be a "yoman" farmer living in Marske, near Richmond in Guisbrough, North Yorkshire. His son John Jouyce, born about 1589, married Mary Thompson in 1614 at Marske. Three brothers, Robert (Robti), John and Thomas Jowsey, are found residing in Danby (Whitby, North Yorkshire) during the late 1500s -- they proved to be prolific fathers, Robert siring 13 offspring! Also mentioned during the late-1500s was a James (Jaimes) Jowsey, of Newcastle Upon Tyne in Northumberland, father of John Jowsey born in Newcastle circa 1618. The International Genealogical Index records the marriage of William Jowsey to Katheren Little in 1575 at Newcastle Upon Tyne, Northumberland. In the register of Ingleby parish, North Yorkshire, Christopher Flintoff is recorded as marrying Anna Jowcye (born circa 1560) in 1578. 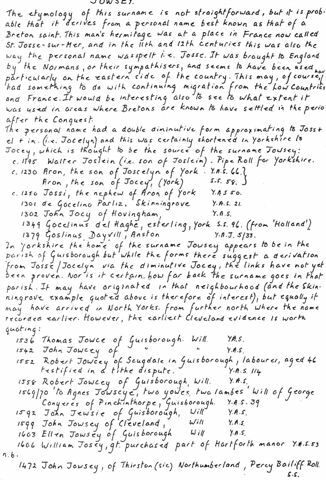 Parish records from Danby in Cleveland show Jane Jowsey marrying Robert Wilson in 1585, the same year John Jowcye married Anne Jackson in Strensall, York. 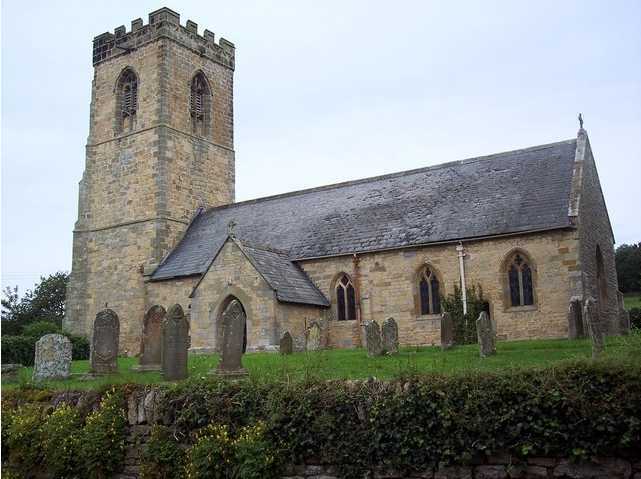 UK Ancestral Files also mention the birth of an Ann Jowsey in 1603, fathered by Thomas Jowsey of Cleveland, North Yorkshire, and the christening of Richard (Richus) Jowsey in 1609 at Danby, Yorkshire, whose father is recorded as Robert (Robti) Jowsey. The IGI then records an Agnes Jowsey christened in 1612, also at Danby in Cleveland. The London Church Registers record the marriage of Jane Jowsey to William Herailes at Westminster in 1618. Family mythology suggests a French Huguenot origin for the surname, but these Calvinist refugees first began arriving in England during the late 16th century, settling mainly in London and south-east England. The register of the French Huguenot Church (in Threadneedle Street, London) records the christening of Paul Jose in 1610, and Nomey Josse in 1612. Alexandre Josee was born in 1643 to Huguenot parents Jehan Josse and Marie Dauid. These French Josse families in London had no connection with the much older Jossey/Jowsey lineage of Scots descent found in England from the early 1500's. The main patrilineage in Northumberland appears to start with John Jowsey, born in the mid-1600s, who married Dorothy Smith in 1678 at the rural hamlet of Bolam (Morpeth), and fathered seven children. Their offspring spread to the nearby villages of Whalton and Hartburn during the 18th century, then migrated eastwards to various coastal towns over the subsequent generations. The genealogical history of this progenitor family has at least one "John Jowsey" in every generation, indicative of a family tradition giving first-born sons this pleasantly alliterative name. Family legend suggests a connection in Sunderland with Freemasonry. Sir James Joicey (1846-1936), a coal mining magnate descended from George Jowsee of the ilk "Jowsey, Northumberland", was the Member of Parliament for Chester-le-Street, county Durham, between 1885 and 1905. He was created a Baronet in 1893, then elevated to the peerage as the 1st Baron Joicey of Chester-le-Street in 1906. According to Burke's Peerage and Gentry, this nobleman is "believed to have been descended from the ancient family of Jowsey or Jocey, of West Pans, Haddingtonshire." The French pronunciation of the Josse surname is /ʒôs/ or /dʒôs/, like "jose" (joce), having one syllable, although the "o" diphthong vowel is now pronounced differently than in medieval Norman times. As the name migrated northwards from Normandy, it acquired three distinct pronunciations of the principal vowel sound, and sometimes extended a second short "se" or longer "see" syllable. The 'ss' consonant was voiced more like 'zz' in some dialects of North-East England, and like "sh" in at least one rural area. Some Scots accents were so broad that the vowel was lengthened as in "moose", spelled like "jewsey" or "juicy". Such regional differences in pronunciation created a bifurcation of the surname's spelling in northern England. In the North-East, surnames descended from the medieval Josse were pronounced more like the Scottish "joa-see", hence iso-phonic variant spellings such as Jousey and Jowsey are frequent. In the west, e.g. Lancashire, vowel-lengthening is common in some words with RP /oʊ/, when a sound more like /[ɔɪ/] may be used, e.g. "hole" is pronounced like "hoil". The original Jos-se surname appears to have become pronounced more like "joi-se", since spellings of Joyce and Joyse are most commonly found in the Lake District and around Manchester, Liverpool and Lancaster on the West Coast. It's also apparent that the un-emphasized "-se" syllable at the end of the medieval surname obtains an extended pronunciation in Scotland, Durham and Yorkshire, possibly a legacy of the northern dialect's Norse, Danish and Germanic influences, but is completely truncated in the celtic west (and in Ireland). Although both variants of the surname's pronunciation appear in far-north England during the late 1800's, notably Joicey, Joycey and Jossey, they also have the extended "-see" syllable characteristic of the Northumbrian and Scots Jowsey's dialect. The intermediary spelling of Jowse, pronounced similarly ("joase") to the modern Scots/Yorkshire variants but without extending the second syllable (cf Jowsey), first appears in North-East England during the late middle ages. The IGI records the marriage of a Jean Jowse (female) in 1582 at Kirkleatham, Yorkshire. A small number of descendants appear in records from Northumberland and North Yorkshire during the 1600's, e.g. an Antony Jowse fathered by Nicklos Jowse at Hartburn in 1688. This Jowse variant is a linguistic intermediary for the Jowsey and Jose versions, as the surname evolved from its ancient Josse root. Dr George Redmonds, an expert on Yorkshire surnames, said "The etymology of this surname is not straightforward, but it is probable that it derives from a personal name best known as that of a Breton saint. This man's hermitage was at a place in France now called St Josse-sur-Mer, and in the 11th and 12th centuries this was also the way the personal name was spelt, i.e. Josse. It was brought to England by the Normans, and seems to have been used particularly on the eastern side of the country. 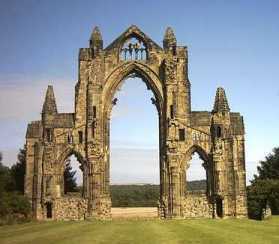 In Yorkshire, the home of the Jowsey surname appears to be in the parish of Guisborough, but while the forms there suggest a deviation from Josse/Jocelyn via the diminutive Jocey, the links have not yet been proven. Nor is it certain how far back it goes in that parish. It may have originated in that neighbourhood, but equally it may have arrived from further north [Scotland] where the name is recorded earlier." "Josse/Joysse" families in Ireland are descended from Thomas de Joise (Jorse), a 13th century settler of Norman Welsh extraction, who migrated to Ireland from Wales and settled there. He married Honora, daughter of the O'Brien Princes of Thomond in 1283, and settled in the far west of Connacht. He is reputed to be the original progenitor of the Joyce families, numerous in the counties of Mayo and Galway. The stronghold of the Joyce families was in the Ross barony, County Galway, commonly known as Joyce's County. 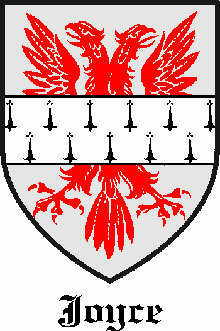 The coat of arms granted to the Joyce family in Ireland shows "the blazon of a silver shield, thereon a double headed eagle displayed, gules, overall a fesse, ermine". Thomas Jowsey (1801-1872), son of John Jowsey (1775-1844) and Isabel Beal, immigrated in 1824 from Northumberland, England to Eardley, Québec, and married Rosannah Merrifield in August 1825. Their son Nathan Jowsey was born in 1831, the first-born of 9 children. Descendants and relatives lived in Québec, Ontario, British Columbia and elsewhere in Canada. The alliteratively-named George Joyeuse Jowsey, born 1790 in Morpeth, Northumberland, moved to London and was employed as a Gentleman's Servant. He married Margaret Bourke in 1822 at Chelsea. A first-born daughter, named Frances, died soon after her birth in 1826. Their eldest son Mark Joseph Jowsey was born in 1828; three more boys followed, one of whom died soon after birth. Mark's mother died when he was 9 years old. 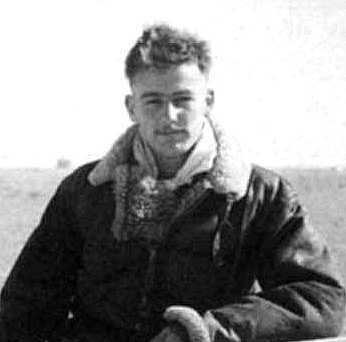 His father, then a 46-year-old labourer, soon married a young woman from Mauritius named Elizabeth Amis, aged 21. She bore him 8 more children, the last boy born in 1855, by which time George was 65! After four years of schooling, the 10-year-old Mark was employed as an errand boy at Public Houses in Chelsea, but fell in with rough company and turned to petty pilfering. A couple of 10-day stretches in prison for stealing spoons and fighting followed. After being dismissed from the D'Oyley Arms in 1844, Mark slipped in one evening and hid until the pub closed, helped himself to a few shillings in coins from the bar, then let himself out. Apprehended the next day, he was taken before a judge of the Criminal Court at the Old Bailey, convicted, and sentenced to 10 years transportation to the colony of Australia. By 1845, English Quakers had arranged for the segregation of young offenders at Parkhurst Prison on the Isle of Wight. The prisoners were taught useful trades, and pardoned on arrival in Australia (or New Zealand), provided they lived and worked as directed. During 1846, a new prison wing was built by these "Parkhurst Boys", digging clay and baking the bricks themselves. Mark embarked on the convict transport ship Marion on 29 Sep 1847, aged 19, and was sailed to Australia with 125 other teen-age "exiles". Arriving at Williamstown penal settlement near Port Phillip, Victoria, on 25 Jan 1848, Mark was immediately granted a Conditional Pardon, achieving the distinction of being the first Jowsey in Australia. He was employed as a Waiter and General Servant by G. Jackson of Mount Macedon at £15 per annum, but nothing further is known of his life. In New Zealand, William Jowsey (born 1843 in Middlesbrough, Yorkshire) arrived December 1879 in Port Chalmers on the ship "Otaki", accompanied by wife Mary Gray and eight children. They settled in Dunedin, and Frederick William Jowsey, child number nine, was born there in March 1880. The earliest NZ Birth records also show a Helen Christina Jowsey born on 7th July 1881 in Dunedin to John Jowsey, husband of Christina Lyon. John was born in Easington, Durham, and emigrated to New Zealand with his widowed mother Ann Jowsey and two sisters, Isabella and Jane Jowsey. In 1888, the marriage of John James Jowsey (William Jowsey's eldest son) to Agnes Ramsay was recorded in West Taieri, Otago. 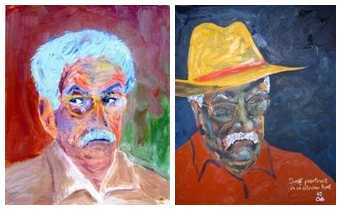 A celebrated contemporary "Kiwi" of the Jowsey lineage is author and poet Kevin Ireland, OBE, born 1933. He is a descendant of Yorkshireman Henry Marflitt Jowsey (1868-1948), a skilled cabinet-maker and ardent Christian Socialist, who emigrated from Scarborough to New Zealand in 1912 with his wife Ada and 6 children. Needing a nom-de-plume, Kevin Jowsey changed his surname by deed poll in his lawyer's Auckland office, after walking there along Ireland Street.